When I first got started with essential oils, I knew that one of the first products I wanted to make myself was toothpaste. I have never found a natural toothpaste that I really love (glycerin, fluoride, preservatives, bleh), and I knew I wanted to try making my own as soon as possible. And while it sounds like a difficult, overwrought process, it was so so simple. 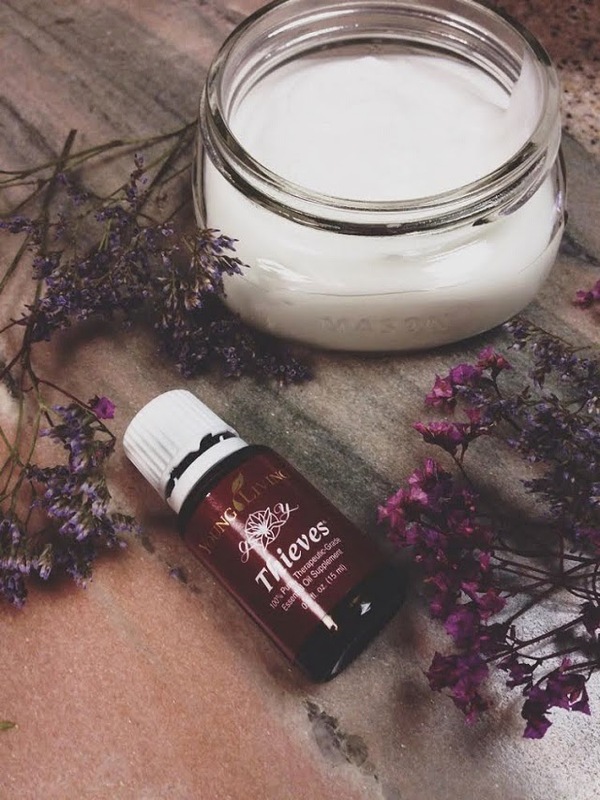 I really wanted to make a toothpaste using one of my favorite oils, thieves oil. This oil is a blend of clove, lemon, cinnamon bark, eucalyptus and rosemary. It is based on a legend of 15th century thieves who robbed bodies of plague victims without contracting the disease themselves. When apprehended, they were forced to reveal their secret concoction! Mix the coconut oil and water together and let it cool just a bit. Add in salt, baking soda and essential oils. Then mix in the clay, adding more water slowly as needed to thin to desired consistency. Continue to mix until the paste is smooth, then transfer to a 3 ounce squeeze tube. Use as you would standard toothpaste! We keep ours in a glass jar in our bathroom with the other oils I use in my daily beauty and nighttime routine. We dip into the jar with a small, clean spreading knife to keep the toothpaste free from germs. If you are interested in getting your own oils at a 24% discount, click here.